Update: There is now an English version of the trailer that features the phrase "cat's pyjamas". It can be found below the Japanese one. Enjoy! 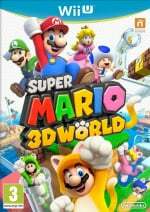 The excitement level in the Nintendo Life office for Super Mario 3D World is reaching fever pitch, but this new Japanese trailer may well have pushed it to new heights. What follows is six minutes of multiplayer platforming goodness, showing just how inventive and downright fun the game is likely to be. Check it out and let us know what you think. i guess we all agree that the best thing about this game will be that you can play as toad, right? RIGHT??? I need this. Very very, badly. Yep, this is gonna be one of those happy Nintendo Xmas. Heeeeeelp!!! I'm throwing money at the screen but nothings happening!!! So awesome. I just think the logo is funny. I don't know if they realise that many languages (i.g. my native tongue) actually use the letter "ö". Also with the tail in the end it almost looks like"wörlds" which sounds hilarious to me Just a stupid notice to lighten your day. Shut up Nintendo and take my money!! Looks as if the end part has been processed but the beginning part is just a 60fps version of 3d land. More interested in whether it is too easy which is what I expect. Game is looking amazing. Can't beleive people avtually doubted nintendo on this one. Is it november yet? It's so fun to look back at the first reveal and all the people that complained it was just a quick rehash of the 3DS game. Game of the year, no doubts about it. Seriously, this looks amazing. So many powerups and the levels are really creative. November, come now pls. I really like the Miiverse stamps idea, I kind of want them to be a standard for all Wii U games now. A month & a week away for me I simply can't wait! It's going to be amazingly awesome It just looks like ridiculously large amounts of fun! If this dosnt sell wiiu's nothing will. Store MUST demo this game and I guarantee any doubters will be instantly converted. Ive said it before and il say it again. I may be getting a ps4 at launch but this is wiiu's xmas to me. I mean you have Mario 3d world, windwaker hd, pikmin 3, w101, wii fit u. Wii party u, just dance 2014, wii karaoke u, deus ex directors cut, assassins creed 4, batman arkham origins all but 1 of which isnt on ps4(ac4), If anyone is even remotely into gaming there is something for everyone. And I mean everyone,not just fps's and annual sports games.OH AND WII SPORTS U WITH ONLINE! This... this trailer will sell a lot of games. Crazy how much better this looks now than it did at E3. If Nintendo knew what they were doing they would make a U bundle with this in time for Christmas. Saying this game looks amazing is a huge under-statement. I had the chance to play it at the Best Buy E3 event and man, this looks 100 times better now. I can't wait till launch! If you were to tell me a year ago that my most anticipated game would be a Mario game, I'd probably ask if Watch Dogs was delayed. I'm not watching it, it's already my most wanted game this holiday - I'm not even sure what's 2nd - so it's all just spoilers from here on out. Oh, and I cant play it until Christmas as its for the family so I have another month to wait. 4 player games are the reason we have 2 kids. Super excited for this, buuut... world 2 is Desert World? Really? REALLY? You heart it here first: it's followed up by a Water World! My opinion of this has changed greatly since the initial unveiling. I'm really looking forward to it. even a cynical bugger like me cannot deny how insanely good this looks! Ugh looks like no nunchuk support. Guess it's Metroid Other M all over again. Wonderful just wonderful! This game is like a combination of the best of the best in past 3D Mario Action games. The stages at the end! (Spoiler alert: THEY LOOK EPIC and nothing like we've seen on a Mario game before and I love that.) Yes, Nintendo EAD has done it again. What I'm most looking forward too is to hear the soundtrack of this game. I'm super intrigued by this game, and I'll admit, when it was first announced, it didn't do much for me. However, being that we're now just a month away from it dropping, other than getting these trailers, what's the deal with this game exactly? And no, I'm not meaning spoilers. Obviously we know it's 4-player, but is it online? What controllers does it require? Maybe we'll find out in the next few weeks I guess. This will save the Wii U! This looks better & better every time!!! Less than 4 weeks to go!!! Still looks like it is nowhere near difficult enough. 3D Land to play it fast (Best way to play any Mario game with the run button held at top speed.) nearly all the difficult came from the low framerate. If this has a solid 60fps and really good controls it needs to be a lot harder than any of this looks. (Or totally changing every 15 - 30 seconds so it never gets boring). @FJOJR Dunno whether doing that is part of the plan (Like not supporting Gamecube controller to sell more wiimotes). Cannot imagine using a dpad for this would be very good. Looks extremely fun. Some of those visuals are amazing, too. Disregard my comment, just watched the video (US version) - looks like online multiplayer is missed again. Wow, there's so much to this game! My wife and I will enjoy this. I'd love to see unlockable playable characters added to the next Mario game, I think that would add an interesting twist. I love that this is coming out around the 25th anniversary of Super Mario Bros. 2 USA, with Mario, Luigi, Peach, and Toad playable (and with their own characteristics). Makes me wonder if Nintendo planned it that way, or they have some kind of "cycle" for bringing back certain game formulas. I can't help but hope for a guest-starring spot from Wart, or at least some reference to him. my kids are going to freak out when we play.Its like all the mario games rolled into one! Im especially excited about the giant powerup..I almost wish there wasnt such a focus on competitive local multiplayer though. Mario literally uses a DEAD GOOMBA as a disguise @ 3:25!! Otherwise GOTY was already secured by GTA V.
One little thing though Nintendo NEEDS a new advertising group. That was incredibly uninspiring. I could not agree with you more. @0:41 - "Move to the side....forward...and all around in a three dimensional world." Is that supposed excite people? This isn't 1997. This is a HUGE problem I think more than the games themselves as far as I'm concerned with Nintendo. Their advertising is atrocious. How in the world are they shocked with low sales when they have things like this? Honestly, it's embarrassing seeing how incapable they are at promoting their own product! This game looks SPECTACULAR. Why in the world is it only known to the public if you look on online gaming publications? This should be put on commercials right now to get people thinking about the Wii U and the games it has for the holidays. I just don't get it. I would think that easy difficulty wouldn't be a priority, since that's what the gold leaf is for. If people can't get through a stage they can use that invincible raccoon suit. 3D Land was a tad easy, until the later stages. That final boss was brutal for a Mario game. Doubt it. One game, nomatter how good, isn't going to change a console's fortunes. The bright side is, it is yet one more great game added to the library. Wii U just needs time, and for the games to keep on coming. Definitely changed my perception on this game since the debut. This game is looking better every time they release a new trailer. As if it didn't already look amazing, I can't wait for this game! This is definitely at the top of my birthday/Christmas list! At this point, I'm not really concerned about difficulty with Mario anymore. I just want Mario games to be really fun, and this game looks like just that: really, really fun. I really hope I can get this game (along with a Wii U) for Christmas! Looks like so much fun! For some reason riding that ice skate looks like that best thing ever made! Haha. They should have just skipped the crap in the beginning and showed the highlight reel at the end. Nintendo, I already GAVE you my money when I placed my preorder yesterday...NOW SEND ME THE GAME! I NEED THIS!! @Keep I noticed that, too. It's funny how Mario takes a look up her dress and then immediately looks away with a shocked look on his face. Who would've thought we'd ever see sexual innuendo in a Mario game? Then again, these are the Japanese we're talking about. I cannot grasp the true form of this game! It's just beautiful! Boy, I can't wait! @6ch6ris6 Nope! Peach all the way! Sue me! From the first reveal that disappointed many I knew that my family and I would be loving this game, but this is starting to look like a Mario game milestone. This could be where Galaxy meets NSMB. What I mean is the critical success of the 3D Mario games with the sales of the NSMB games. It's really too bad the installed base of the Wii U is so low and that this one will have to help grow it rather than be bring numbers to brag about right away. Still, if it's as good as it looks it will be an evergreen game. What I'm really hopeful for is that the wider area to play in on the stages makes the 4 player work better than the NSMB games. NSMB U had very poor multiplayer as the stages just weren't designed for it at all (a second person on the GamePad is actually better than I thought it would be, though). 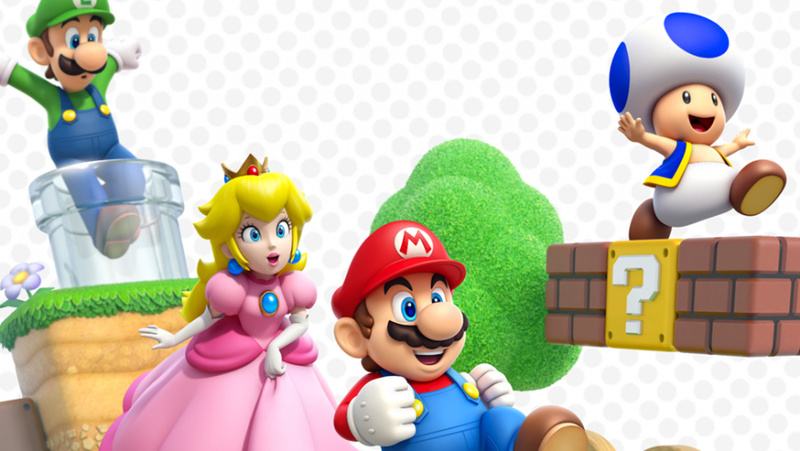 @6ch6ris6 We can all agree that the best thing about this game is the Super Mario Bros. 2 character line-up, RIGHT?! I'm gonna go adopt some impoverished kids just so I have a faux family to play this with every night . Wow, this looks more amazing each time I see it! I still can't figure out why Nintendo showed so little of all this splendor at E3 (which was crushingly disappointing for me and other folks looking for a reason to buy a WiiU), but I don't think anybody cares at this point — I believe we finally have the system's killer app. Absolutely bursting with creativity and innovation, perhaps more so than even the incredible Galaxy!